Amy Rubinate has been a professional actor and singer for over a decade. She has narrated and provided character voices for many interactive children’s books, toys and video games. Her one-woman cabaret shows have been performed in New York and San Francisco. Amy has a degree in Oral Interpretation of Literature, and won state and national awards for poetry reading. 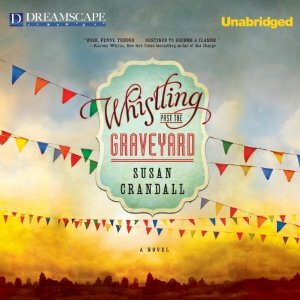 Her performance makes Whistling Past the Graveyard an audio book to remember. Audio book also available for digital download from Hoopla and on CD from Dreamscape directly, or Amazon.